Chris’ journey into the financial planning world is a unique one. After graduating in 2010 from the Marriott School of Management with a Bachelor’s degree in Business Entrepreneurship, he obtained the Series 7 - General Securities Representative Exam and California insurance licenses while touring the country as a professional minor-league baseball mascot! Several amusing videos of Chris’ adventures can be found on his YouTube channel: Sulltraining. 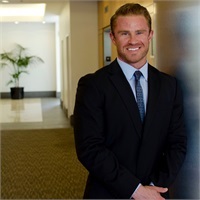 In 2011, Chris put his licenses to work as an insurance and annuity salesperson covering central California. During this time, Chris realized he needed to route his path toward organic, financial planning as opposed to rigid, financial product sales. When Davin Carey, a long-time friend and 2003 co-graduate of Buena High School reached out in 2012 with a Para-Planning position – Chris jumped at the opportunity and has been with Carey & Hanna ever since! Since joining Carey & Hanna, Chris has dedicated himself to the pursuit of excellence in financial planning. After completing nearly two years of independent study, Chris sat for and passed the Certified Financial Planner exam during November 2015. Chris holds the CFP® designation and is honored to be part of the Carey & Hanna team. On the side, Chris is a lifestyle bodybuilder, martial artist, and break-dancer. He is an active competitor in The Super League – a revolutionary strength-sport sponsored by Nike and Bodybuilding.com. Chris trains several days per week and believes optimal performance results when both mind and body are challenged. He and his wife, Jamie, live in Ventura with their daughters, Tatum and Huxlee.